The win did not come easily to Nepal as UAE had set up the highest total of the series. 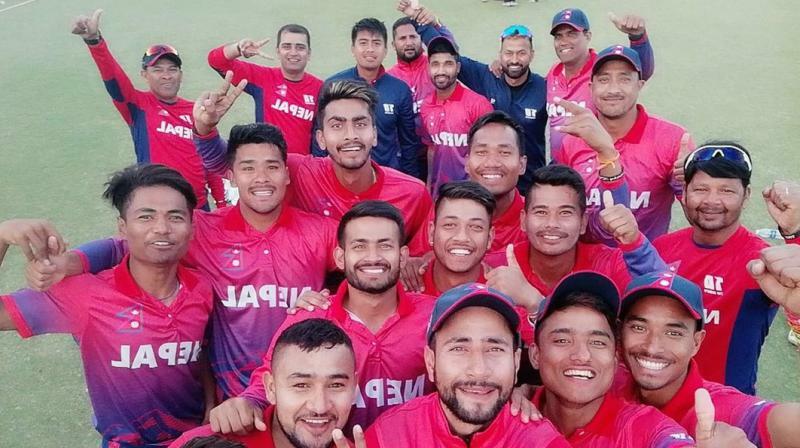 Dubai: Nepal cricket team captain Paras Khadka played a centurion knock of 115 runs against UAE to help his side register their first-ever ODI series win. Chasing a target of 255 runs, Nepalese batsmen surpassed the winning line within 45 overs of their innings. The win did not come easily to Nepal as UAE had set up the highest total of the series. Nepal did not make a good start to their innings as they lost their opening batsmen Binod Bhandari (9) and Gyanendra Malla (31) at the earlier stage of the match. Skipper Khadka, however, stabilised the innings by playing steadily and kept the scoreboard ticking. By scoring a century, he became the first Nepalese batsman to score an ODI hundred. Nepal’s middle order failed to impress with the bat as Dipendra Singh Airee, Sundeep Jora, Rohit Paudel could not get past 20 runs, individually. Aarif Sheikh and Sompal Karni, however, played with patience, spent some time on the crease and eventually guided their team to a historic victory.